Starting with the 1st of month “wake up wake up wake up it’s the 1st of the month” anyway enough of that and on to business and for all the young ones or little foot gyal we see the Nike Roshe Run GS featuring the classic Roshe Run silhouette with a tech fleece upper, reinforced toe cap and lightweight cushioning. Countries being represented in this packs release are Great Britain, Brazil and France with country flags on the tongue tab and matching colours, respectively and each available separately. 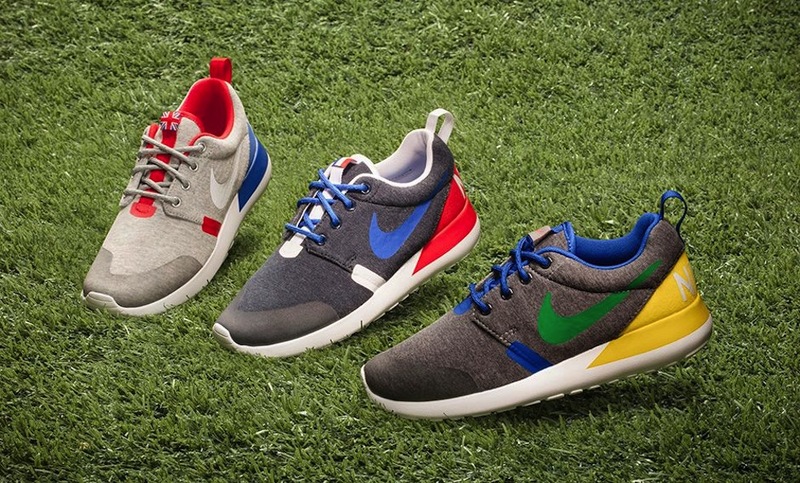 Head over to Nike NOW if you’re looking to scoop a pair of these up. This seems to be an anticipated release what with the current trend of monotone colourways and red hype in the last year or so. This all-red colorway features a globe graphic on the tongue and a confetti-adorned Swoosh. 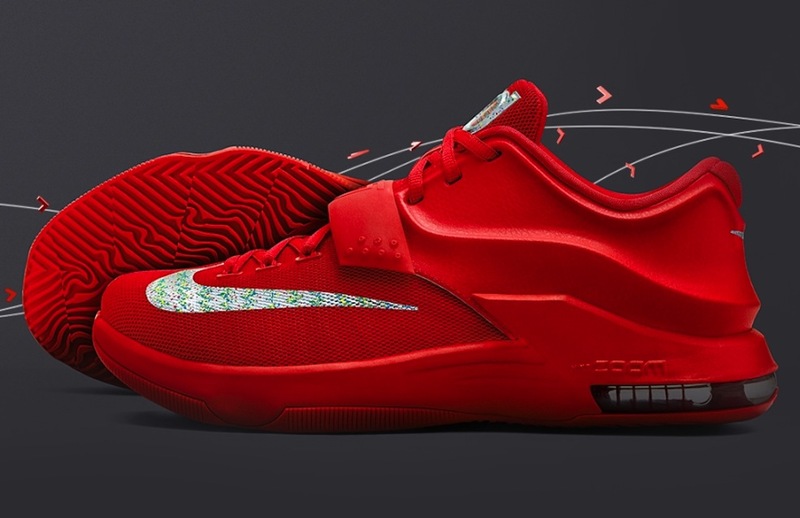 Personally I’m not much of a fan of the KD7 but I know a lot of people are and if you’re one of them and want to scoop a pair of you can find these releasing Saturday morning via way of Nike, Footpatrol, Hanon, End, Footlocker and other Nike basketball retailers. 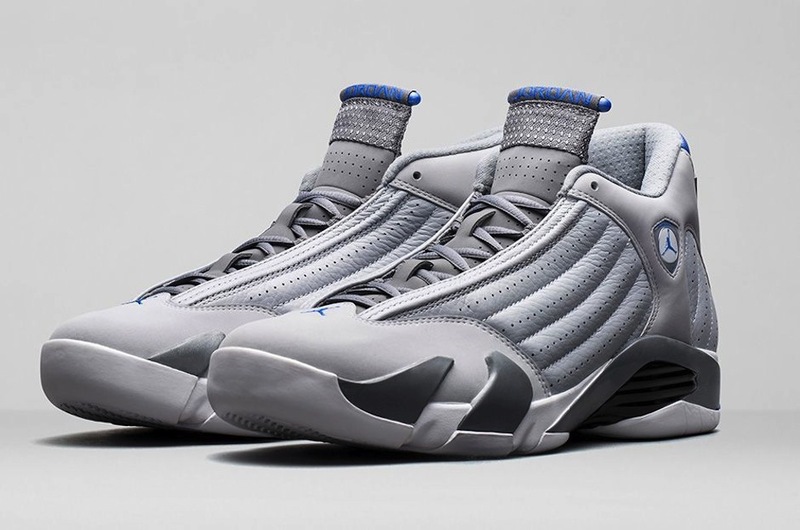 This week another Jordan 14 drops the latest colourway of the Air Jordan 14 Retro features a light Wolf Grey upper with hits of Sport Blue on the heel and tongue a grey midsole and white outsole. I love grey kicks as many who know me already know but I’m not so keen on this pair. I’ve seen these in person and there is still some midsole paint issues but not as atrocious as the thunder 14’s I saw. Also I have issues with three different greys on the shoe not looking right to me. It’s really just not working for me myself and I. That being said if these are your thing and you want to pick a pair of these up you can find these releasing on Saturday via way of Nike, Size? and most other Jordan Brand retailers. The Reebok Instapump Fury’s just keep coming and coming, what with the 25th anniversary celebrations and collaborations with pretty much every boutique around the world this weekend sees London’s FP crew putting their creative twist on this silhouette as part of the “certified network series” of releases. Footpatrol step up to the plate and make their offering for the anniversary featuring an Athletic Navy, Canvas and White colour palette. If you fancy a pair of these you can find them Saturday at retailers such as Footpatrol, End, Hanon, Crooked Tongues and Sneakers N Stuff. 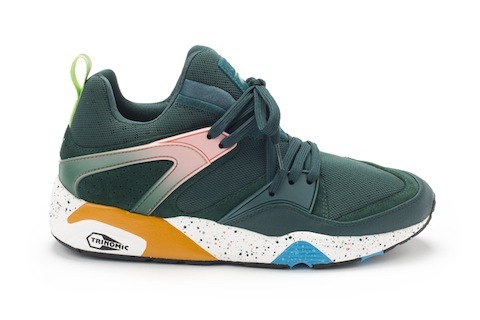 After Part 1 of the Puma x Size? Wilderness pack dropped about a month ago now we see the second part of the offering. 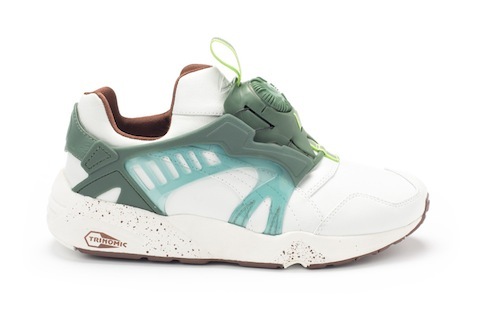 This time around we see the Puma Blaze Of Glory ‘JUNGLE’ and the Puma Disc Blaze ‘MOUNTAIN’ releasing. Once again the Size? design team have been let loose with their creative juices and have focused on bringing the tones and textures of their given terrain through the materials and colourways of each silhouette. The result is two great looking pairs that will obviously be dropping at Size? this Saturday with a global release on the 6th of September. 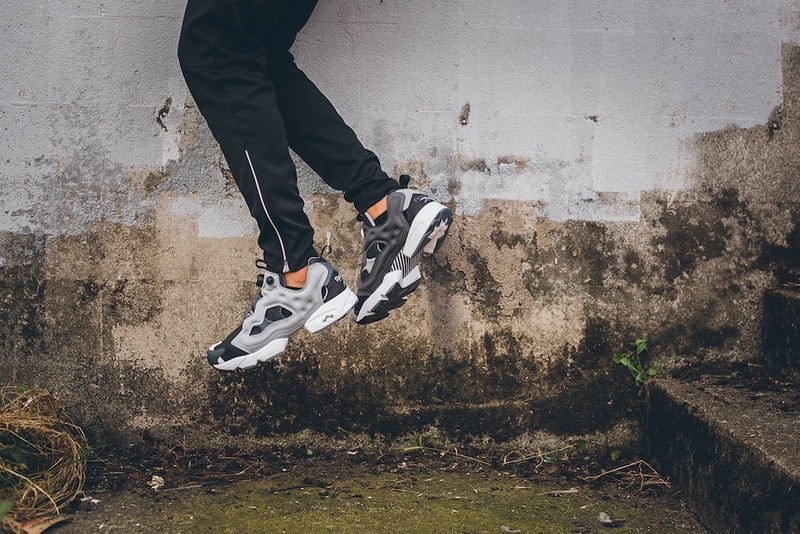 I’ve saved my favourite release this week until last and yes another Reebok Instapump Fury Anniversary Collaboration this time with Beams outta Japan. 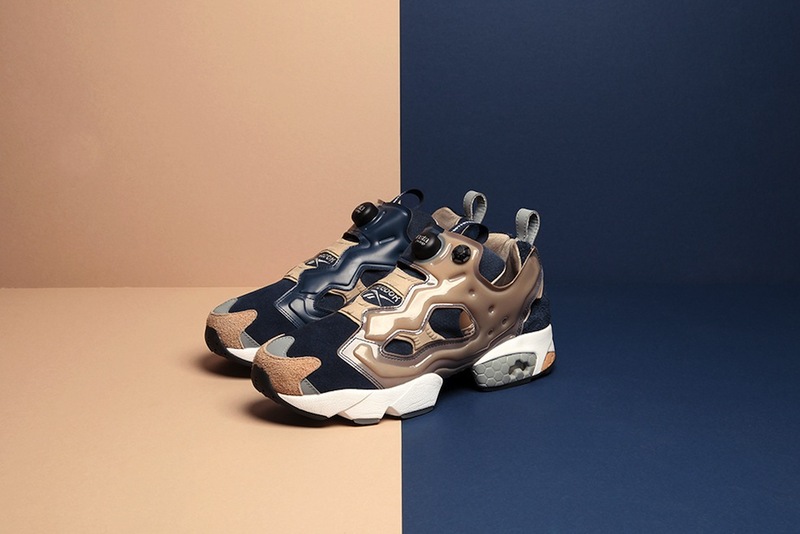 This Reebok Insta-pump Fury features an asymmetrical design and the major selling point for me is the different colour blocking on each shoe and of course the fact they’re mainly grey haha. The colour palette used is a selection of tonal grey with orange on the screened footbed logos. So if these tickle your fancy they’ll be available this Saturday via way of Hanon, Footpatrol, End, Crooked Tongues. Whatever you’re looking to scoop this weekend I hope you all manage to cop what you’re after, peace out!